From the celebrated author of We All Looked Up comes a unique story of first and last loves. Firstly, Tommy, I could kiss your writing and then wrap it up and keep it for a rainy day. I hate to make comparisons, but if you like John Green’s style you’ll love Tommy Wallach. There is a comedic poetry quality to his work that you can’t help but gobble up until you reach the end. There were many times in the day and a half of reading this (I’m serious you won’t put it down) where I found myself barking with laughter and then turning the page to find myself tearing up. It has the feels, ya’ll. Secondly, let’s talk about Parker Santé. 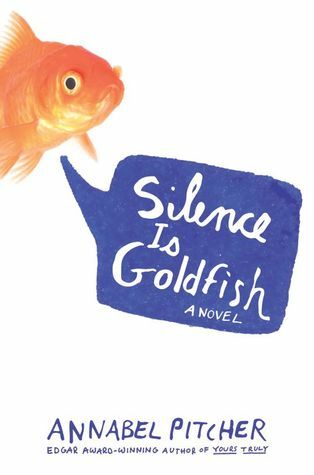 This is the first book I have ever read that has featured a character who can not speak (world, let’s change this fact). Parker’s situation is interesting and I would love to know who or what Tommy’s influence was when creating this character. Lastly, I appreciate the stories within the story. Parker is a writer, mainly of Grimm-like stories (the real Grimm stories, not the sugar coated kind). Actually, I wish some of those stories would be made into a book of short stories. I would totally buy it. About 6/8ths through the book I got a little bored. The plot seemed to drag on a bit. I won’t write the details for spoiler reasons, but it didn’t move quite as much as I would have liked. Also, the cover of this book I do not get. Parker has a Latino background, yet the boy on the cover looks completely white. That was a bit confusing. Buy it and then if you haven’t already, go pick up his previous book, which is also a NYT Bestseller, We All Looked Up. 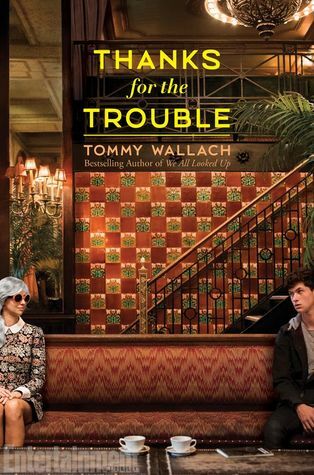 This entry was posted in Book Reviews, Contemporary, Uncategorized and tagged Book Review, Books, Contemporary, Thanks for the Trouble, Tommy Wallach, We All Looked Up, young adult. Bookmark the permalink.